Authorities asked the public Tuesday for help in identifying a group of thieves who have carried out a spree of armed commercial robberies across San Diego in recent weeks, in many cases staging two heists within hours of each other. 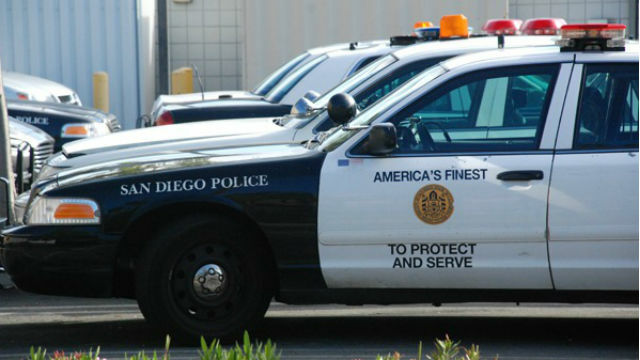 The series of 10 nighttime holdups — targeting offices, stores, hotels, restaurants and a pedestrian in Clairemont, La Jolla, the Midway District, Miramar and North Park — began Dec. 15, according to San Diego Police. The latest occurred Jan. 5. The crimes have variously been committed by one, two or three men, each described as black and in his 20s or early 30s. At least one of the bandits brandished a pistol during all of the robberies, and in some cases another was armed with a knife. They generally have worn nondescript dark-colored clothing, including hooded sweat shirts, during the heists. Surveillance cameras have captured images of the perpetrators. Anyone with information about the robberies was asked to call San Diego County Crime Stoppers at (888) 580-8477. Tipsters may remain anonymous and could be eligible for a reward of up to $1,000.